Found in Toronto’s North York area and built in 2004 by Minto Developments, this Toronto condo sits near the intersection of Yonge and Sheppard. Radiance is a high-rise condo situated in the popular neighbourhood of Willowdale East. 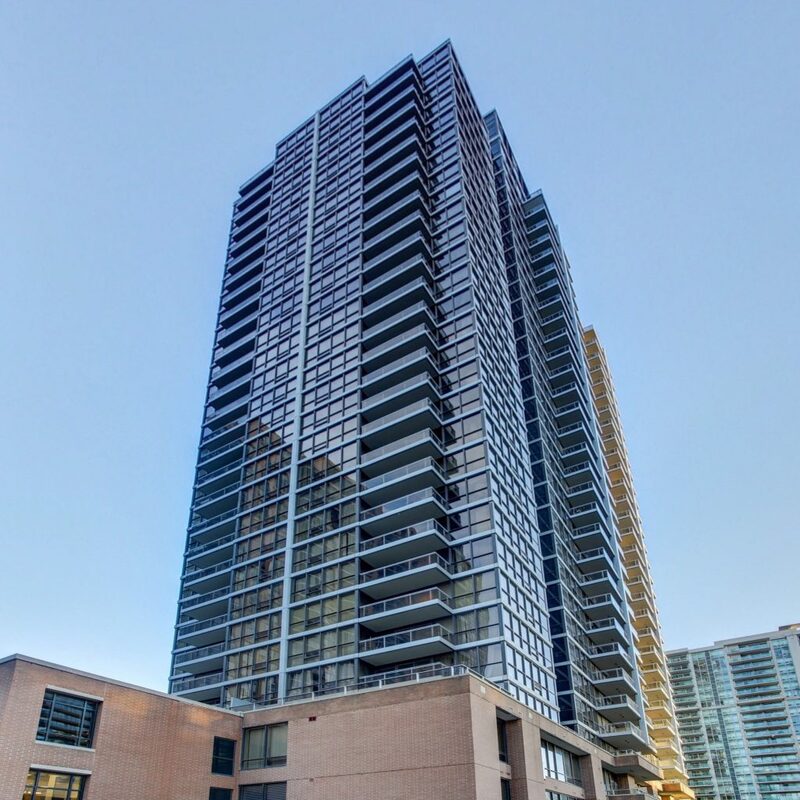 Located at 33 Sheppard Ave E this Toronto condo has suites ranging from 366 to 1409 sqft. There are 377 units at Radiance, with a variety of exposures and layouts over 34 levels. Amenities here include a Gym / Exercise Room, Pool, Concierge and a Party Room as well as an Elevator, Meeting / Function Room, Parking Garage, Sauna, Security Guard and an Enter Phone System. Included in your monthly condo maintenance fees are Air Conditioning, Common Element Maintenance, Heat and Building Insurance. Ranked the 98th most expensive condo building in North York, this condo is one of the more exclusive options. The price per square foot is currently averaging $664. The average one bed condo at Radiance has been selling for around $444,563 and the average two bed condo at Radiance has been selling for around $641,384. This is a change.